Summer is upon us and this summer is shaping up to be one of the busiest ever for our hotels and tourism businesses. Inbound flights into YVR are seeing record capacity and the Canadian dollar relative to other currencies continues to make our destination popular for those coming for a Metro Vancouver experience.Richmond is capitalizing on the interest from visitors coming to our region but we must prepare for the future and develop strategic initiatives that appeal to the emotional DNA of potential visitors. As part of these preparations, we will be re-visioning our brand so that it is strong in its appeal and communicates the remarkable and unique experiences that a visitor can have in our destination. During the month of June, we conducted two sessions to consult with our stakeholders on what our brand should encompass. Both sessions were well attended and the feedback we gathered will be invaluable as we move forward in redefining our brand. 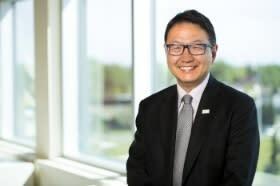 Our new Chief Marketing Officer Allen Chen and his team will work with our consultants and agency to come up with a brand that leverages our strengths and that aligns with our strategic partners at Destination Canada, Destination BC, and Tourism Vancouver. We will be following up with some participants and with others who were not able to attend the sessions through one-on-one interviews, so that we might gain further insights into how our brand should be shaped. As part of our strategic consultations with stakeholders, Tourism Richmond conducted a stakeholder satisfaction survey to determine what our strongest benefits to stakeholder are and where we can improve. The results are detailed below but from what we have seen, there is opportunity to fulfill the needs of our stakeholders and improve our satisfaction score going forward. Our cooperative marketing investment program has launched and I am pleased to announce that we have begun to receive applications for funding. I encourage all tourism businesses to have a look at the program’s criteria and if there’s a fit, apply for funding. We are here to help drive business activity for tourism businesses and there is no better way than to invest in your good ideas. During this summer, I will continue to visit members and stakeholders to listen to what they need from Tourism Richmond to ensure their business success. I have gotten to know many of our members and stakeholders well through visits and I look forward to meeting more of our city’s key businesses in the coming months. If you wish to send me your thoughts on the tourism sector in Richmond, please contact me at bokabe@tourismrichmond.com.